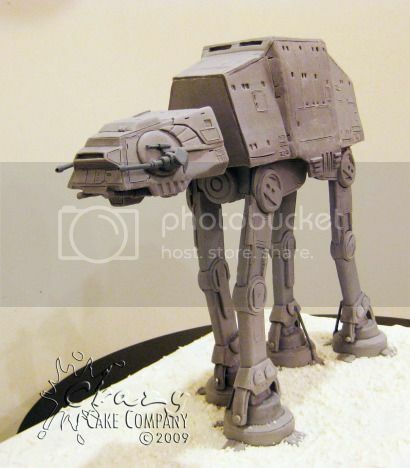 Are you sick of awesome AT-AT cakes, yet? There’s certainly been no shortage of them here on GWS. 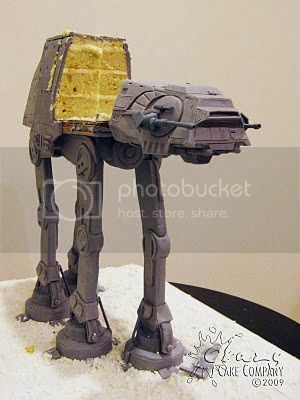 There was the AT-AT groom’s cake made as an over-the-top gift. The AT-AT cake with the snowspeeder. And, you know… the other one. 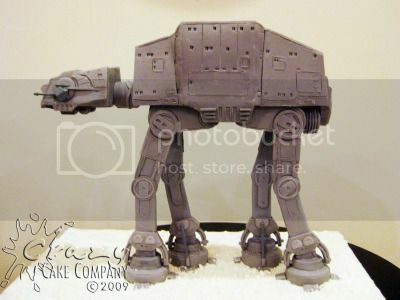 That’s practically a glut of fantastic AT-AT cakes. And I don’t want you jaded. I want you needy, pliable, and easily-awed. For self-serving reasons. As always. Lien S. of Davis, California’s Crazy Cake Company sent me the details on this Star Wars AT-AT cake she made for her husband’s birthday. 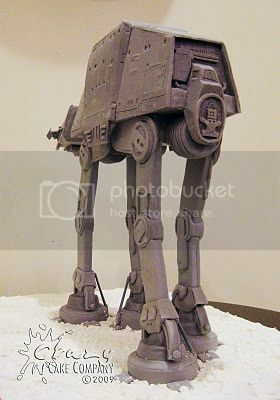 And I think I can fairly say that this is the first AT-AT cake that could stand-in as a model in the filming of a scene from The Empire Strikes Back. It’s just too bad cake-making technology wasn’t this advanced back in 1980. The “cake [was] carved and iced with buttercream,” and “inside was a moist almond cake with cream cheese buttercream filling.” I ACCEPT! Lien says that she “accidentally left out a few details on the AT-AT but you won’t notice unless you’re a Star Wars fan.” So, the angstful nerds of the internets should feel free to exercise their overly-nit-picky analytical muscles. You’re welcome. Otherwise, check out the Crazy Cake Company blog for loads more photos. Just unbelievable. That’s not a cake, it’s photoshop trickery! Can’t be done. Unbelievable. I don’t even care about AT-ATs, but that is amazing. Oh man. I bet that’s delicious. Wow. 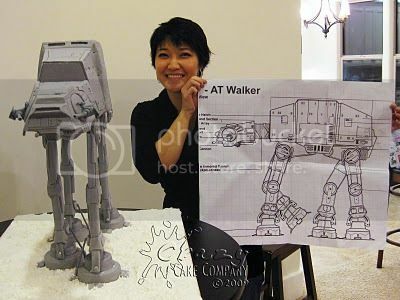 I need a freaking AT-AT cake at my next birthday party…or maybe this lady can make me the Millenium Falcon in cake form. Heck yes. This has inspired me to learn to decorate cakes. Always loved making models, but then you have a dustcollector collection. Eat cake, no model collection to mess with.